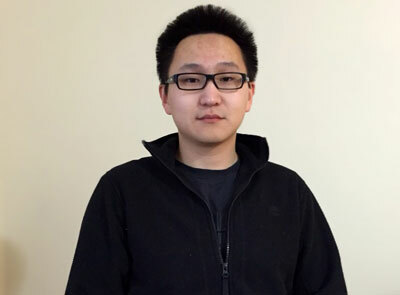 Roger Li is a PhD student in transportation engineering who works with the AHB modelling team at UC Davis. He grew up in the city of Taiyuan in North China and earned his Bachelor’s in civil engineering at Tsinghua University in Beijing. What is the focus of your involvement in the transportation engineering program at UC Davis as it relates to the AHB project? We are concerned about understanding the relationships within and between transportation and other systems including the environment, energy, and advanced technologies. My specific research is to seek optimal design in renewable energy systems with mathematical programming models. This includes uncertainties such as the yield of poplar trees and fuel demand to capture risks within the system. What specifically are you doing with the modelling team? I help design the supply chain system that seeks to determine the best decisions for profit maximization. These decisions include biorefinery locations, biomass/biofuel transportation, feedstock procurement, and biofuel sales. What interested you most to get involved in this field? My advisor, Professor Yueyue Fan, has a lot of experience in bioenergy system design/optimization. I got interested reading her papers in my first year at UC Davis. There came the opportunity to work on the AHB project and I thought it would be a great topic for my doctoral study. How has your experience been working with the AHB team? There are two reasons why I find my AHB involvement interesting. First, the task of designing a complex biofuel supply chain system from poplar is a perfect match to my research field which is infrastructure system modelling and optimization. Also, the uncertain nature of such a system happens to be a major issue I’m trying to tackle in my dissertation work. Second, I’ve got plenty of opportunities to learn from other people with different expertise, in both the UC Davis team and from other teams working in the AHB project. What do you find most intriguing about the work you are doing? I get to know people from different academic backgrounds. In the UC Davis team, we have professors in biological/agricultural engineering, agronomy and civil engineering, computer scientists, programmers, and people from geographic science and statistics backgrounds. We are constantly sharing opinions on every part of the work we do and that enables us all to understand problems from different perspectives, which I find fascinating.